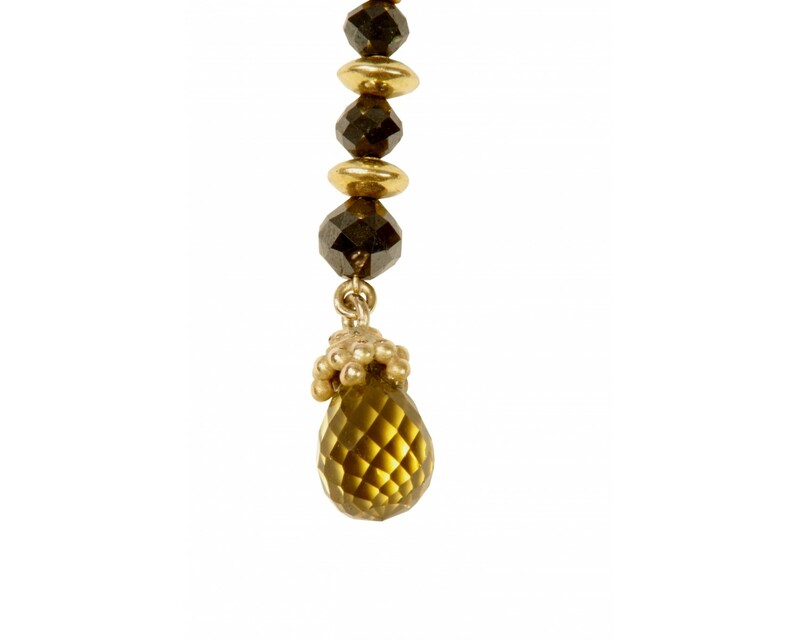 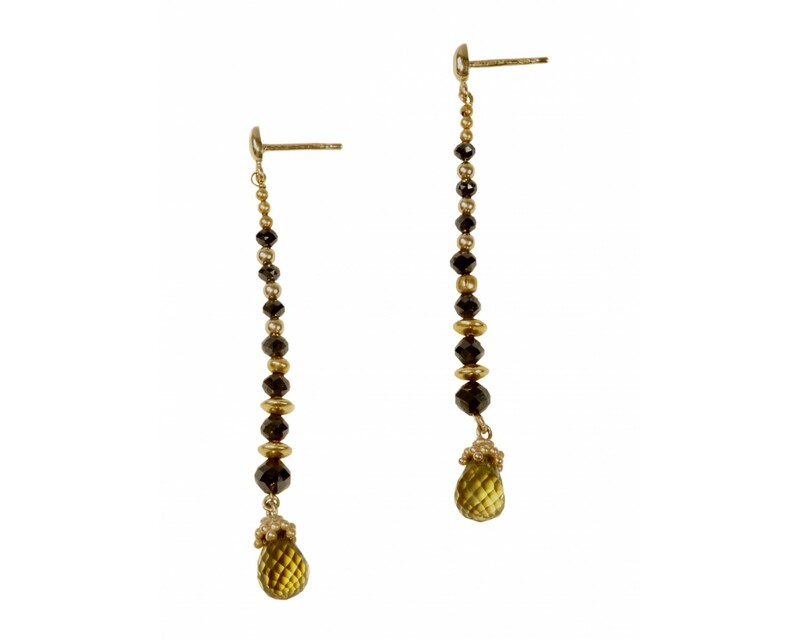 Faceted black diamonds and yellow tourmaline with a variety of 18ct yellow gold beads. 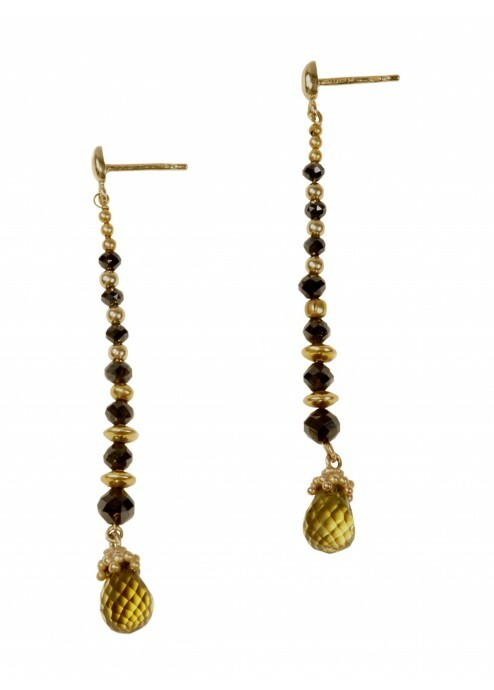 These black diamond star earrings reign supreme and look very imperial. 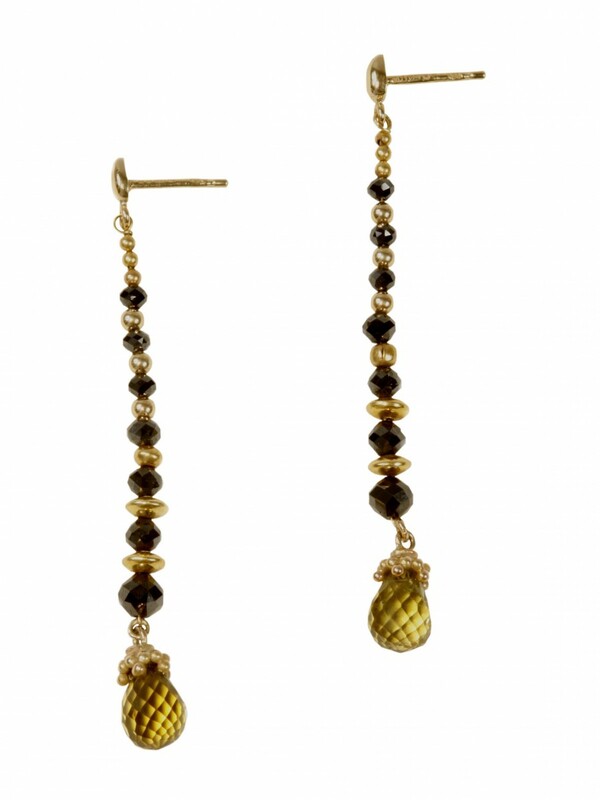 Pretty enough, however, to be worn for any occasion.